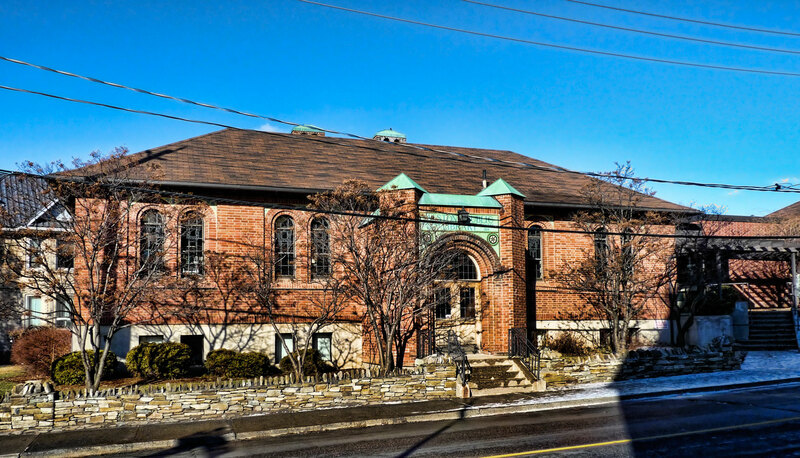 Tomorrow morning at 8:30 a.m. Toronto’s Clean Train Coalition is organizing a protest outside the Central YMCA (20 Grosvenor St. 2 blocks north of College). This is to express opposition to the likelihood of 140 diesel trains running through Weston every day once the Airport Link is built. Currently the line is used only 4 hours daily. 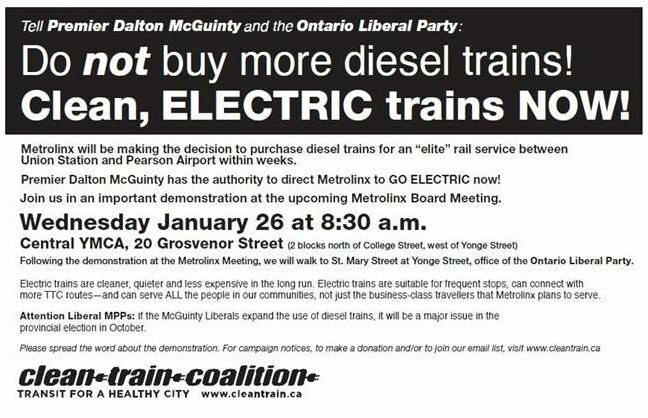 For cynical people such as myself, it seems as if Metrolinx is playing this game both ways and their logic is faulty. On the one hand it has recommended electrification of the route. On the other, it has already purchased the diesel locomotives for the route and so electrification is planned for sometime in the future. According to Metrolinx, electrification takes a long time, is very expensive and besides, they want the line to be ready for the 2015 PanAm games in spite of the fact that athletes and officials will travel by bus on dedicated lanes. 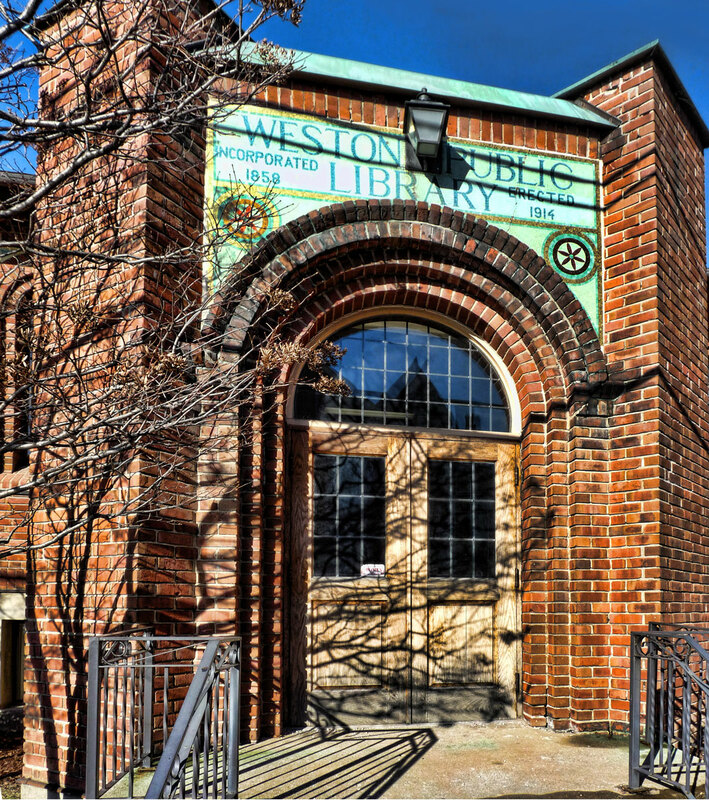 Weston Community Coalition has more details in their latest update. Humber River Regional Hospital‘s Church Street site will be getting a new MRI (magnetic resonance imaging) machine later this year. The machine will operate for 40 hours a week and presumably will operate for longer hours if the need increases. The existing machine operates 24/7 and performs 7900 scans annually at the Finch site while the new machine will perform about 3100 and save Weston residents from travelling to the Finch site. It is assumed that the machine will move to the new 1.6 million square foot site at Keele and the 401 in 2015. This being a provincial election year, no doubt there will be similar announcements coming from other provincial ministries. The press release for this announcement helpfully contains boilerplate quotes from prominent area Liberal MPPs, the Minister of Health and health care executives. 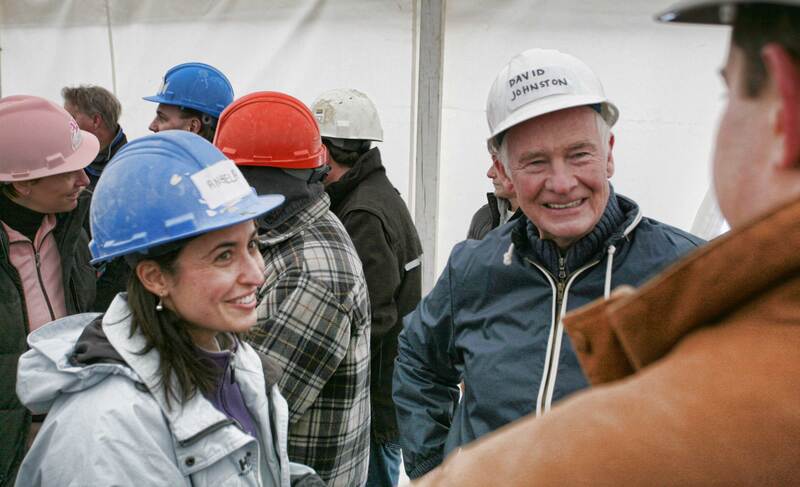 This afternoon, Canada’s Governor General, David Johnston flew in from Ottawa to lend support to the Habitat for Humanity project at 1500 Weston Road. The complex of 20 energy efficient townhouses will provide safe, decent and affordable homes for 96 people currently living in sub-standard housing in Toronto. Governor General David Johnston chats to a Habitat for Humanity volunteer. 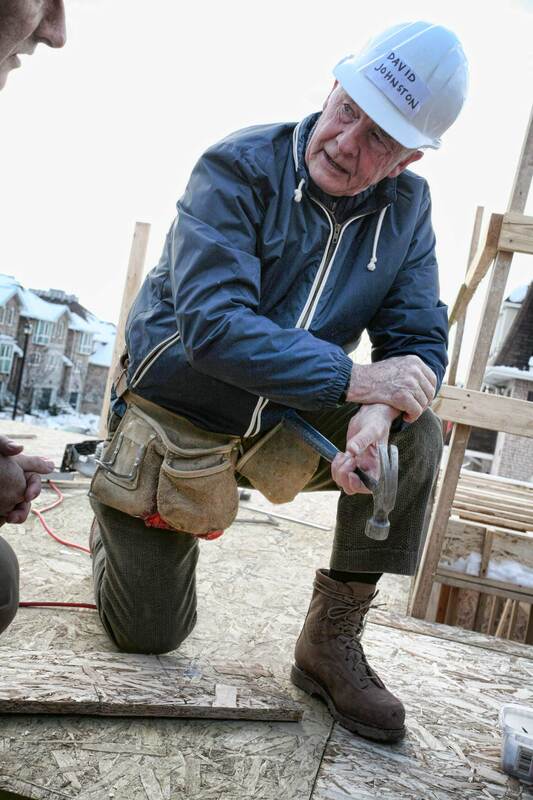 The Governor General’s support came in the form of adding his presence to the Habitat For Humanity project thus providing moral support but he is no slouch when it comes to hammering a nail and laying down flooring. 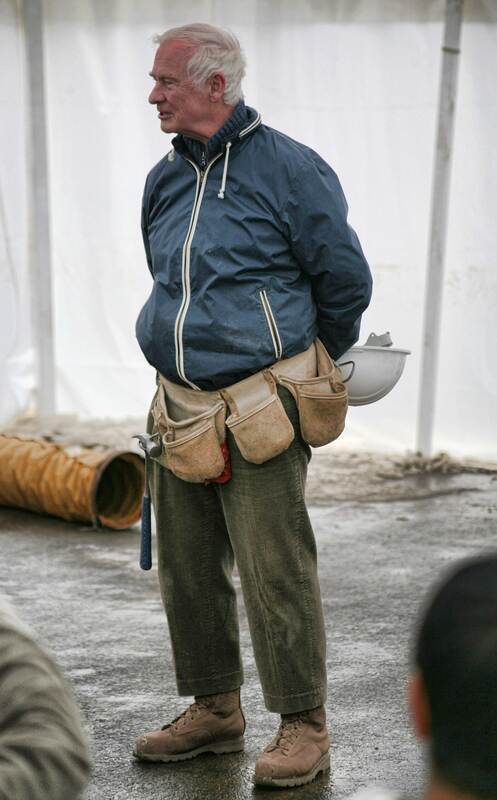 He worked on the second floor of a home that will be completed this spring. His Excellency nails down a floor to the delight of assorted photographers. The townhome complex is being built almost entirely by volunteers from the community as well as the eventual homeowners. Governor General David Johnston talking with volunteers. After putting in his work shift, his excellency moved to a marquee where he chatted informally with volunteers and community partners. Later, he spoke about the contribution that Habitat For Humanity has made in many countries around the world and the dedication of volunteers who lend their muscle and expertise. Habitat For Humanity is an international non-profit organization dedicated to providing safe and decent housing at a reasonable cost. His Excellency speaks to volunteers and Habitat staff. The first residents will be moving in on Saturday and others will be moving in as the units are completed. A resident who will be among the first to move in described her excitement and feeling of accomplishment and thankfulness at being able to move into a home of her own. The head of Habitat in Canada, Stewart Hardacre said that in his experience children raised in Habitat homes consistently graduate from university. The Canadian Institute for Health Information measures hospital mortality rates in Canada and according to their latest statistics, Humber River Regional Hospital has steadily improved–to the point where this year, it has a lower than average death rate. The institute uses a benchmark of 100 to rate hospital mortality rates, and this year HRHH scored 96, having scored 106 and 117 in 2009 and 2008 respectively. This statistic is the average of all three locations of the hospital. Having recently been a patient at the Church Street site I can attest that although the building is overcrowded and out of date, the personnel seem caring and competent. In fact our local version of HRRH is a community gem which provides employment and a valuable service to Weston residents. Unfortunately, the Church St site will soon be closed. HRRH is amalgamating its three campuses into one facility at Keele and Wilson, at Downsview Park. Construction will probably start in late 2011. Little information is available about what will happen to the Church St site.